Do we have happy developers?To find out, in the first half of 2014, Tasktop decided to do a survey of software developer productivity. There's nothing really unique in that, except that for the first time this survey looks at what the developers are actually doing and saying about measuring developer productivity, rather than examining productivity from the top down, explained Gail Murphy, one of the survey directors and chief scientist at Tasktop. The company, based in Vancouver, B.C., develops application lifecycle management technology. All told, Murphy and her team surveyed 379 developers -- about half of whom were employed by Microsoft, with the remainder recruited through Internet portals. To follow that up, Murphy and her colleagues then directly observed 12 developers, four each from three different companies, measuring developer productivity up close. "We literally sat behind them while they were coding and conducted a qualitative study on everything they did," she said. 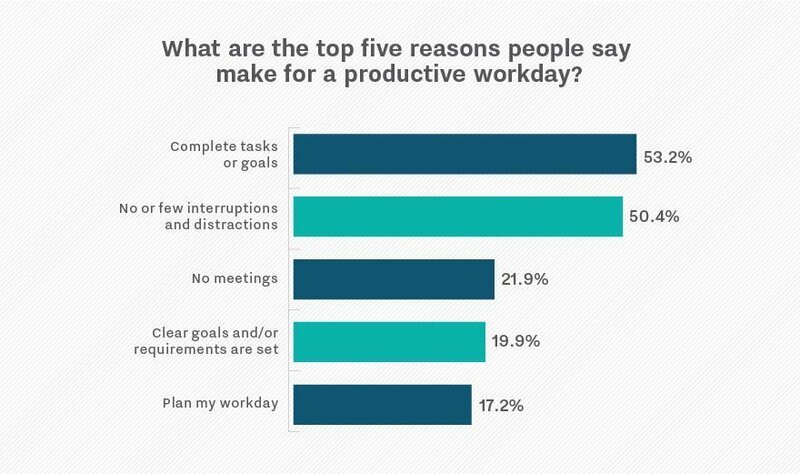 As the report -- Software Developers' Perceptions of Productivity -- shows, developers are very clear about what contributes to their productivity. "It's no shock that they hate unproductive meetings," she said, laughing. “They were very clear about that." Developers really like to just get into their tasks and have a long, uninterrupted time to do what they need to do, she said. "Interruptions can really block their productivity, and that can be anything from a colleague stopping by or a Skype call. When those things happen they don't feel like they're as productive, and that result is consistent with existing research on this subject." When Murphy and her team followed up with these developers last summer, she said the only new information they found was that developers -- like everyone else -- have better and worse times of day. "They either self-organize their work or understand their ebbs and flows, but they definitely have times of the day when they are more or less productive and are able to adjust accordingly." What does your organization do to keep happy developers?